When the outbreak of war between the states became imminent in the spring of 1861, the citizens of Plattsmouth were quick to respond to the impending crisis. Without waiting for President Lincoln's call for volunteers, Dr. Robert R. Livingston organized a company of infantry to be held in readiness for Federal service. The men elected Livingston their captain and the women of Plattsmouth sewed a flag which they presented to the company. On June 11, 1861, the Plattsmouth volunteers were mustered in as Company A, First Nebraska Volunteer Infantry. For three years, the regiment campaigned in the South, participating in major battles at Fort Donelson and Shiloh in Tennessee. Returning to Nebraska in 1864, the regiment (by then a cavalry unit) was sent to Fort Kearny. From there, small detachments were deployed to protect emigrant wagon trains, mail and passenger coaches, and road ranches against the threat of Indian attack. The regiment continued in service on the plains until July, 1866, when it was mustered out at Omaha. 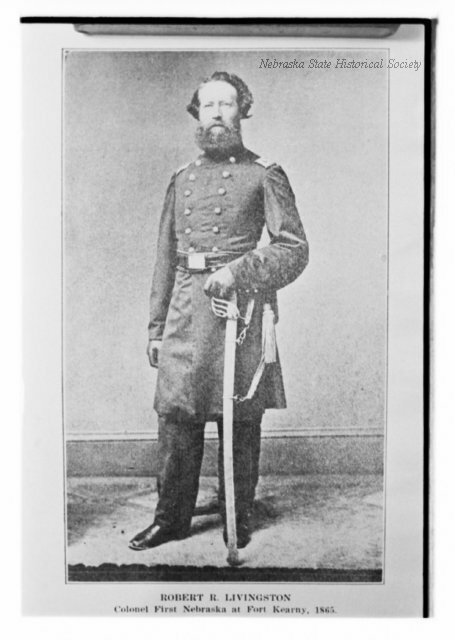 Robert R. Livingston rose to command the First Nebraska, with the rank of Brevet Brigadier General, before returning to private life at Plattsmouth. 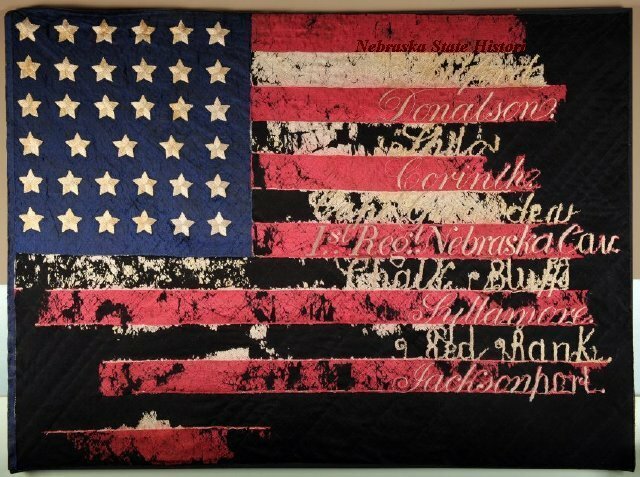 “Company A - First Nebraska Volunteer Infantry 1861-1866,” Explore Nebraska History, accessed April 18, 2019, https://mynehistory.com/items/show/52.